The planning, management, and execution of events involve a number of steps like budgeting, selecting the location, coordinating the various technical aspects and much more. It is here that an event management company plays a pivotal role. In today’s times, planning and execution of large-scale events like festivals, ceremonies, parties, and concerts have become a lot easier with efficient event management. The event management companies take on the responsibility of looking into every aspect of the events and organizing them efficiently. The event management industry has witnessed immense growth over the years. These companies are gaining increasing popularity because of the efficient service they provide. The event management software which is available today has proved to be immensely beneficial for all such companies. This software enables users to plan and promote events and look into every other minute aspect efficiently. When you’re almost set to serve the customers online, but don’t know how to bring’em to your doorstep? Give a try to the latest & the most powerful email marketing service – MailGet Bolt. Choosing the most appropriate event management software for your company can get a little tricky since the market presents for you a host of options today. We have for you here a comprehensive guide to the ten best event management software which is available in the market today. Planning, posting, coordinating and tracking events can be done seamlessly using this great event management software. 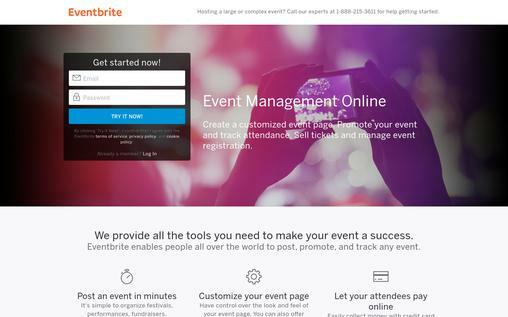 You can be assured that all events organized using EventBrite will be a great success. The great features of this software enable you to create excellent event pages, post and track events easily. All events like festivals, parties, conferences, and fundraisers can be posted in no time. Use the excellent tools of this software to create fully customized event pages. Collect payments online and track and manage them all in the same place using this software. Make use of the promotional tools like widgets, custom links, invitations, social media and more to promote your events. Use the EventBrite Organiser app to sell tickets, keep track on sales and also check on attendance. The excellent reporting and analytics tool enables you to remain updated regarding all progress. Registrations for events can also be managed using this software. Cvent is a top quality event management software which will provide you with an all-inclusive platform to cater to all your event management needs. This software is becoming increasingly popular and has more than one lakh users today. You can easily plan events, select locations, register events and so much more using this great software. Use the excellent event planning software to easily build online registrations. Payment for events can be done online easily and securely using this software. Building and managing budgets, tracking funds and calculating costs becomes easier using the effective budget management tools. The software can also be used on site for planning events, managing payments and much more. See all your event reports using the 70 standard reports and unlimited custom reports. The software also offers easy mobile registration. Use the social wall to collect all the posts made by attendees on Instagram and Twitter. All event websites created are fully customizable. Send personalized emails and track them using the excellent email marketing feature. All contacts can be easily imported, exported and managed in a single database. Create event calendars by choosing from various layouts and views. The software features integration with Salesforce.com. Event planning and management have been made easy with this great software. This comprehensive event management software allows you to address all your event management needs from one place. The software is easy to use and also does not require any setup fees. EventZilla enables you to create a fully mobile friendly website with which you can manage all your sales from the website, Twitter, blog and much more. The event registration feature allows you to gather all information from attendees during registration. Offer great discounts for your steady customers by creating discount codes. Make use of the waiting list feature to complete a sale of all remaining tickets after last-minute cancellations. The software also offers mobile check-in. Easily create event pages which can be seamlessly used in your smart phones and computers. Send customized email invitations by importing contacts from Outlook, Google, Yahoo or Excel. The software provides support of four payment gateways to easily process the online payments. Use the customizable event calendar to showcase all events. Create calendar widgets for all frequently occurring and ongoing events. Promote your events on social media like Facebook and Twitter. Manage private event registration using unique access codes. Use Manage orders, Organiser to manage and edit all orders. The list of attendees can be easily exported to Microsoft Excel. Eventzilla also enables you to create great name badges. 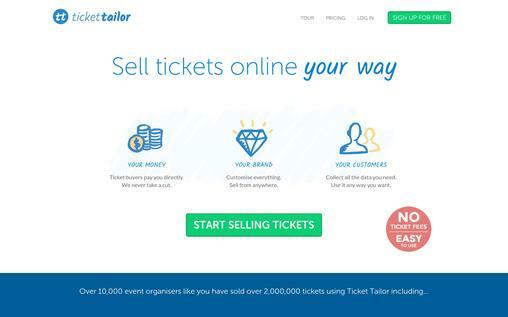 Event managers no longer need to worry about selling or managing the tickets for their events with Tickettailor. This fully customizable software enables you to collect all the information which you require and use it. You will receive payments directly from all buyers. This trusted software is becoming increasingly popular amongst event organizers and is suitable for organizing all kinds of events. Sell tickets online easily by customizing your box office, entering all details about the event and sharing the link. Receive payments directly from customers through credit or debit card. The software enables you to issue e-tickets automatically. All the forms for your events are fully customizable. Tickettailor doesn’t charge any commission on the sales of your tickets. The software features integration with Stripe and PayPal, with which all payments are processed securely. The software is very easy to use and can be set up following a few simple steps. EventLeaf is an excellent and advanced event management software which is extremely user-friendly and affordable as well. Create your event website easily and complete event registration in minutes. You can also create badges for your events and check in or register all attendees on site as well. The software is suitable for all event types like conferences, parties, workshops and much more. 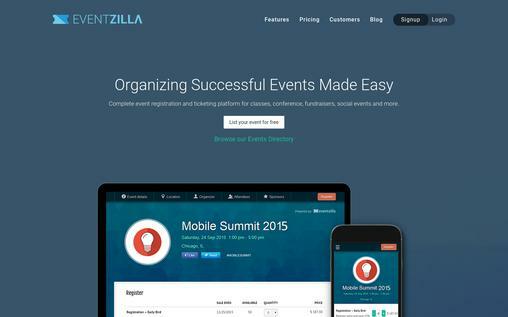 Create a fully customized and nice event page using the latest tools. The software also enables you to create fully customizable registration forms. Event schedules displaying event details can be created easily. Add information about all the speakers and presenters for the event. Send customized confirmation emails to your guests after registration. Send invitations to all guests, prospective attendees, and all other contacts. Keep a track of all the invitations sent and make a note of their current status. Manage all lists of contacts, add them to waiting lists and restrict registrations using EventLeaf. Create links and direct visitors to event registration to promote your events. Add ticket prices and availabilities, offer discounts, state policies for a refund and sell tickets online using Eventleaf. Use the Jolly Payment Processor to collect payments effectively. The software features integration with business card scanners like E Seek and Assure Trek which makes registration quicker. EventLeaf supports Windows and Windows 8/8.1 and enables self-registration in kiosk mode. Print customizable event badges, print 1D and 2D barcodes and also include RFID tags using EventLeaf. 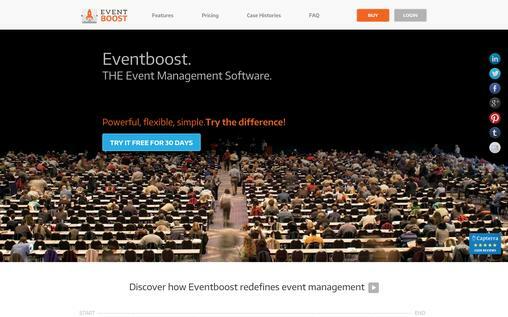 Eventboost is one of the best event management softwares available today which simplifies the entire process of event management for you. This all-inclusive software has a host of excellent features which enable you to seamlessly organize all kinds of events. Manage your guests, create customized event pages, register attendees online, create event badges and so much more using this great software. Create customized event pages, emails, and templates using Eventboost. Feature events with the easy to use tools of this software. The event options feature allows you to display all the main options like registration, paid admission and more. Communicate with international audiences by configuring your event page as being multilingual. Eventboost features integration with Google Maps. Create event schedules and organize the event dates. Manage your guest lists efficiently by importing, expanding or adding contacts. The communication suite enables you to customize messages, email templates, and invitations. The registration page is fully customizable and can be embedded to the website. Easily manage the check in of all guests with the Android or iPad app. Ensure faster check in by scanning the QR code on a smartphone or on the printout of the confirmation mail. Keep a track of the attendance at your events and also add names of last minute attendees easily. Create customized badges for all your guests and add important details about the event. Plan and organize successful events using this great software called Bizzabo. This software is very easy to use and enables you to create beautiful websites, sell tickets, send emails, get reports and so much more in order to successfully organize your events. The software’s great networking platform allows you to communicate with all guests and attendees and ensure that they have a great experience. Bizzabo ensures efficient event registration by enabling the creation of great websites which work fast and are flexible. Check in attendees smoothly with the user-friendly interface which can also be used from any device. All payments can be processed smoothly with the easy to use payouts. The refund process is made very simple using this software’s system. Manage all your contacts efficiently and even create smart lists for your contacts. Keep all attendees updated about events by sending them real time messages. Manage fees and also split them according to the needs of your event. Manage all session registrations efficiently using Bizzabo. 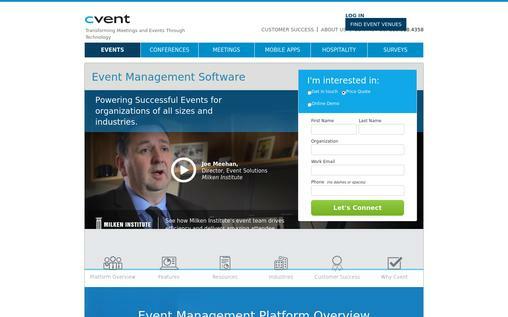 Eventival is one of the most popular event management softwares used today. 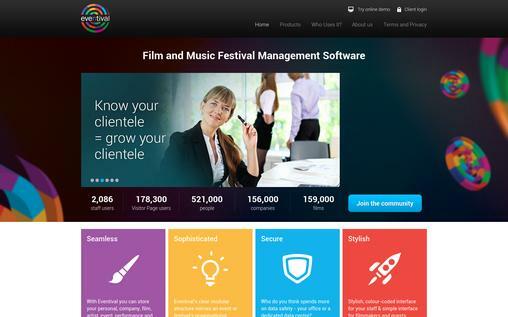 It first began as a film festival management software but with its increasing popularity, the software expanded its range of services to other events as well. This software enables you to efficiently manage a host of events like film and literary festivals, cultural, social and business events and a lot more. The online database enables you to keep all the data of your events stored. Access all information directly from the Cinando database. The visitor page interface enables all your event data to flow smoothly. Create a great looking website which showcases the entire organization of your event. The software also offers complete data security. Eventival offers a customizable and color-coded interface which looks stylish as well. There is a simple and user-friendly interface for your guests. The software enables you to create a beautiful event page with a user-friendly design. As the name of this software itself suggests, Eventpro efficiently handles all aspects of the organization of your event. Deciding on the venue, organizing and managing the event and catering management- Eventpro has all these aspects smoothly integrated into their system. There are a host of great features which you can mix and match to suit your needs. Receive a step by step guidance from the booking wizard to enter your bookings, contacts and much more. Use the venue booking calendar to manage the bookings of venues. Efficient catering management ensures smooth management of all catering services. 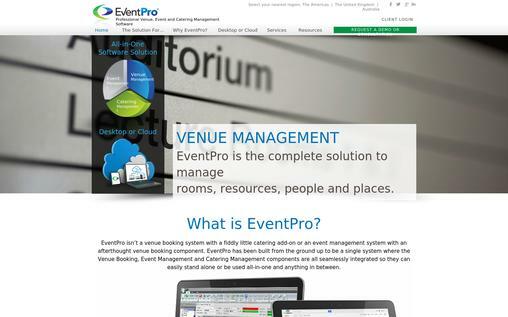 Manage all beverages and resources like audio/visual, tables, chairs and more using Eventpro. Efficient sales management ensures that leads are tracked and easily converted into clients. Use the A.P.I email program to send standard contact letters and reports through email. Use the drag and drop feature to schedule events, their locations, resources and more. 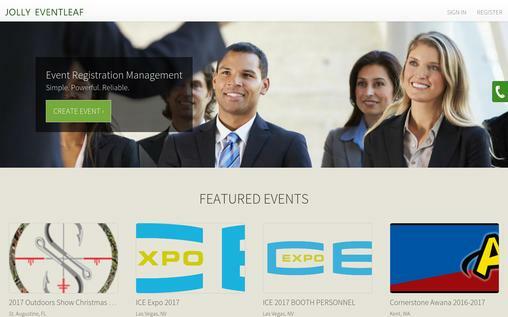 Eventpro also offers efficient attendee management. Payments and invoicing are processed smoothly at Eventpro. Eventpro’s integrated budget module helps you keep a track on all costs and revenue. The powerful reporting feature generates complete reports for all bookings. The online booking calendar can be used to view the event locations. Registration invoices can be emailed easily along with a registration link. 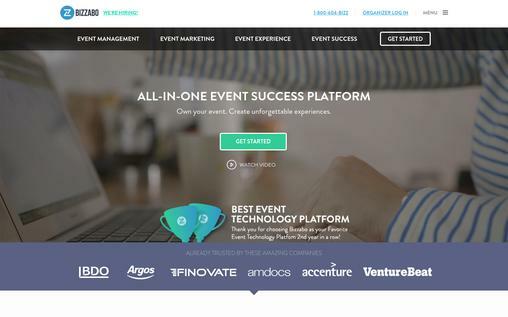 Eventpro also offers online event registration. The dashboards are fully customizable and all information can be gathered in a customized layout. Eventsforce is an event management software which is trusted, loved and used by event management professionals worldwide. The number of subscribers for this software has been increasing every year and today Eventsforce boasts of being a software with one of the highest retention rates. You can manage each aspect of your event using the great features of this software. Use personal registration links to send individual event invitations to the people you want. 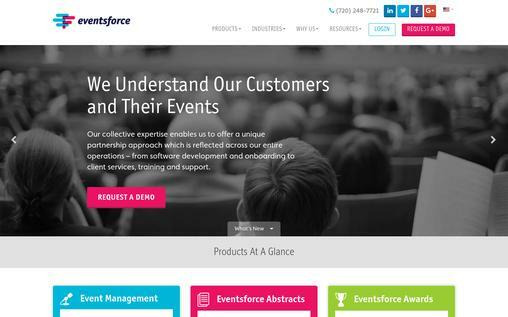 Create your customized, fully responsive and multilingual event website using Eventsforce. The software’s effective registration management enables you to create customized registration forms where you can fill in all the information you want in the desired format. Group bookings allow a number of attendees to register at the same time. The session selections feature allows attendees to select online the sessions they wish to attend. Seamlessly process all payments by cheque, bank transfer, credit card, invoice or online. Promote events using the customized templates to sent emails to prospective guests and attendees. Create custom badges and also add barcode scanning if required to manage all information regarding the event attendance. The advanced reporting and quick search feature enable you to create reports on all aspects of the event like registration, attendance, payments and more. The social media marketing feature enables visitors to follow your event website through all popular social media networks. Use Eventsforce Awards to organize and manage external award functions and internal recognition programmes. Eventsforce Abstracts seamlessly integrates abstracts, registrations, and sessions in one place. With the demand for good event management increasing day by day, all event management companies are aiming at creating user-friendly and efficient websites using the great event management software which is available today. This guide to the ten best event management software will give you a fair idea about this software which is available today and their features. All these software are amongst the best available brands in the market today. This comprehensive guide will surely help you make the right choice for your event management company.